This house, known as Sri Taman, was later occupied by the country's third Prime Minister, Tun Hussein Onn. 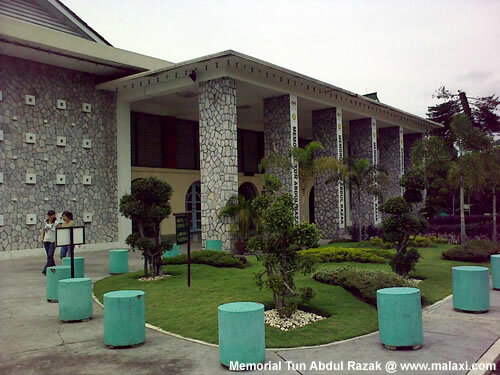 Built in October 1961, the current Tun Abdul Razak Memorial used to be the official residence of Malaysia's second Prime Minister until his death in 1976.the building known as Sri Taman was his official residence until his death in 1976. 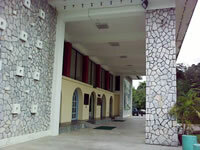 Sri Taman was occupied later (1978 - 1981) by Tun Hussein Onn, the third Prime Minister. In appreciation of Tun Abdul Razak's contributions to the development of the nation and its people, Sri Taman was officially turned into the Tun Abdul Razak Memorial. An excellent administrator, Tun Razak is fondly remembered for his rural development programmes, and his sense of social justice. There is even a personal touch to the exhibits, including his speedboat and favourite golf cart. Deep inside the memorial hall are Tun Abdul Razak's bedroom and study room, which retain the original furnishings. There are also gifts, souvenirs and mementos that Tun Abdul Razak received in his lifetime. Built in October 1961, the property was converted into a memorial to honor his vast contributions to the development of the nation and its people. 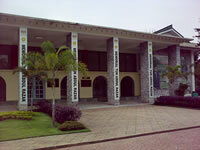 This impressive building holds a wide collection of his personal artifacts, documents and reading materials. The interior displays his rooms set with original furniture and his private collection of walking sticks. Outside are his speed boat and golf cart. Guided tours are available by appointment. The memorial is dedicated to Malaysia's second Prime Minister, the late Tun Abdul Razak bin Dato' Hussein. It was set up to preserve all the documents, library materials, personal belongings, and artefacts belonging or relating to the late Prime Minister. There is a uniquely personal touch in the entire exhibition. Starting with the Tun's favourite golf cart and speed boat, the exhibition leads up to his well-maintained bedroom and study room which are decked with original furnishings. Also on display are walking sticks - a special collection that represents one of Tun's favourite hobbies. The gifts, souvenirs and momentos that he received from titled and crowned heads from all over the world constitute a magnificient array of some of the world's finest works of art. This memorial was once the official residence of the late Tun Abdul Razak, hailed as the "father of development" and was also the second prime minister of Malaysia. Built in October 1961, the property was converted into a memorial to honour his vast contributions to the development of the nation and its people. This impressive building holds a wide collection of his personal artefacts, documents and reading materials. The interior displays his rooms set with original furniture and his private collection of walking sticks. Outside is his speed boat and golf cart. Guided tours are available by appointment. 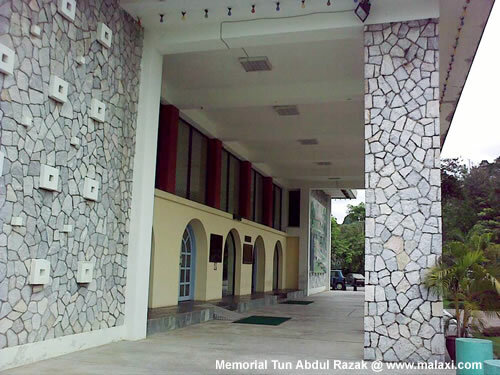 In recognition of Tun Abdul Razak's contribution to the development of the country and its people, the residence was officially turned into the Tun Abdul Razak Memorial in 1994. The memorial is now a storehouse for documents, library materials, artifacts and personal belongings of the late Prime Minister.